Luther Osmer HUDSON was born on 7 Dec 1890 in Evening Shade, Hempstead, Arkansas. He died on 11 Sep 1978 in Clovis, Quay, New Mexico. He was buried in Clovis, Quay, New Mexico. Luther married Camilla BOSTICK on 13 Jan 1913 in Tucumcari, Quay, New Mexico. Camilla BOSTICK [Parents] was born on 31 Aug 1889 in , Milam, Texas. She died on 7 Feb 1920 in Forest, Quay, New Mexico. She was buried in Prater Cemetery, Ragland, Quay, New Mexico. Camilla married Luther Osmer HUDSON on 13 Jan 1913 in Tucumcari, Quay, New Mexico. Infant HUDSON was born on 23 Oct 1913 in , , New Mexico. She died in 1913 in , , New Mexico. She was buried in Prater Cemetery, Ragland, Quay, New Mexico. M ii Luther Lorren HUDSON was born on 29 Dec 1914. M iii Paul E. HUDSON was born on 3 Nov 1916. He died in 1991. M iv Thomas Cordell HUDSON was born on 18 Dec 1918. He died on 12 Apr 2007. Leander Robnette BOSTICK [Parents] was born on 8 Sep 1892 in Purves, Erath, Texas. He died in May 1967 in Dewitt, Arkansas. Leander married Lillie M. DUNIGAN on 21 Jun 1911 in , , Arkansas. Lillie M. DUNIGAN was born on 2 Feb 1888 in Ethel, Arkansas, Arkansas. She died on 23 May 2002. Lillie married Leander Robnette BOSTICK on 21 Jun 1911 in , , Arkansas. Clara B. BOSTICK was born in 1912. Mora Lee BOSTICK was born on 21 Sep 1913 in Ethel, Arkansas, Arkansas. She died in Oct 1998 in Jacksonville, Pulaski, Arkansas. R. L. BOSTICK was born in 1915. Louise BOSTICK was born in 1917. Kearby BOSTICK [Parents] was born on 28 Sep 1896 in , Erath, Texas. He died on 13 Nov 1953 in Colorado Springs, El Paso, Colorado. He was buried in Evergreen Cemetery, Colorado Springs, El Paso, Colorado. Kearby married Ethel Ellen SILVERS. Ethel Ellen SILVERS was born on 7 Mar 1910 in Alamosa, Alamosa, Colorado. She died on 7 May 1991. 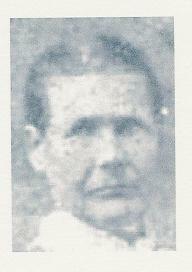 Ethel married Kearby BOSTICK. Eric Lindy BOSTICK was born in 1928 in , , Colorado. He died on 31 May 1989 in United Arab Emirates. F ii Winneth Beth BOSTICK was born on 13 Jun 1929. She died on 12 Oct 1969. Luther Osmer HUDSON was born on 7 Dec 1890 in Evening Shade, Hempstead, Arkansas. He died on 11 Sep 1978 in Clovis, Quay, New Mexico. He was buried in Clovis, Quay, New Mexico. Luther married Clara Belle BOSTICK on 25 May 1921. Clara Belle BOSTICK [Parents] was born on 9 Mar 1899 in Purvis, Erath, Texas. She died on 14 Aug 1984 in Clovis, Quay, New Mexico. She was buried on 18 Aug 1984 in Clovis, Quay, New Mexico. Clara married Luther Osmer HUDSON on 25 May 1921. M i Henry Osmer HUDSON was born on 5 Apr 1922. He died on 2 Jan 2005. Sydney Lucien STIDHAM [Parents] was born on 9 Sep 1885 in Maysfield, Milam, Texas. He died in Apr 1969 in Houston, Harris, Texas. Sydney married Jeanette Beverly PARDO on 9 May 1920 in , Milam, Texas. Jeanette Beverly PARDO [Parents] was born on 12 Jan 1899 in Covington, Hill, Texas. She died on 18 May 1987 in Belton, Bell, Texas. Jeanette married Sydney Lucien STIDHAM on 9 May 1920 in , Milam, Texas. F i Charlotte Louise Lanier STIDHAM was born on 31 Jul 1921. She died on 28 Jan 2000. F ii Sidney Jean STIDHAM was born on 8 Sep 1925. She died on 12 Sep 2004. Thomas Washington "TW" HARRELL [Parents] was born on 10 Dec 1827 in , Martin, North Carolina. He was christened in Primitive Baptist. He died on 27 Sep 1894 in , Milam, Texas. He was buried in Harrell Cemetery North of Maysfield, Milam, Texas. Thomas married Joanna MASSENGALE on 22 Aug 1875 in , Milam, Texas. Joanna MASSENGALE [Parents] was born on 3 Dec 1848 in , Coosa, Alabama. She was christened in Methodist. She died on 26 Jul 1888 in Jones Prairie, Milam, Texas. She was buried in Harrell Cemetery North of Maysfield, Milam, Texas. Joanna married Thomas Washington "TW" HARRELL on 22 Aug 1875 in , Milam, Texas. Emma Theophilous HARRELL was born on 16 Jul 1876 in Maysfield, Milam, Texas. She died on 18 Feb 1877 in Maysfield, Milam, Texas. She was buried in Harrell Cemetery, Milam, Texas. Willie May HARRELL was born in Jun 1878 in , , Txas. She died on 23 Sep 1878 in Maysfield, Milam, Texas. She was buried in Harrell Cemetery, Milam, Texas. F iii Jessie Lee HARRELL was born on 7 Aug 1879. She died on 27 Jan 1938. F iv Alice Florence HARRELL was born on 25 Feb 1882. She died on 10 Jan 1945. F v Elma Dora HARRELL was born on 18 Sep 1884. She died on 9 Jan 1926. M vi Samuel McAdora "Sam" HARRELL was born on 25 Oct 1887. He died on 20 Apr 1937. Thomas William "Tom" HARRELL [Parents] was born on 9 Mar 1862 in , , North Carolina. He died on 11 Sep 1915 in Rosebud, Falls, Texas. He was buried in Woodland Cemetery, Rosebud, Falls, Texas. Thomas married Venia. Venia. Venia married Thomas William "Tom" HARRELL. 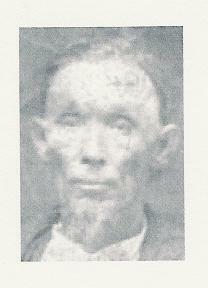 William Lacey HOLLINGSWORTH [Parents] was born on 5 Oct 1844 in Winchester, Randolph, Indiana. He died on 6 Feb 1884 in Independence, Montgomery, Kansas. He was buried in Wellington, Sumner, Kansas. William married Mary B. VAN ZANDT on 10 Jun 1871. Mary B. VAN ZANDT [Parents] was born on 26 Dec 1839 in Flemingsburg, Fleming, Kentucky. She died on 20 Feb 1913 in Independence, Montgomery, Kansas. Mary married William Lacey HOLLINGSWORTH on 10 Jun 1871. Harrison B. HOLLINGSWORTH was born on 29 Aug 1872 in Independence, Montgomery, Kansas. He died on 13 Oct 1887. F ii Runettia L. "Nettie" HOLLINGSWORTH was born on 30 Nov 1874. Leonard I. HOLLINGSWORTH was born on 4 Aug 1876 in Independence, Montgomery, Kansas. He died on 30 Nov 1893. Ellenora E. "Nora" HOLLINGSWORTH was born on 20 Sep 1878 in Independence, Montgomery, Kansas. She died on 30 Dec 1899. Capt. Morgan "Mod" MORGAN [Parents] was born on 20 Dec 1746 in Bunker Hill Winchester, Berkley, West Virginia. He died on 31 Oct 1826 in White Creek Catawba, Monongalia, West Virginia. He was buried in Old Harperstown Cem Near White, Day Creek, WVa. Morgan married Mary Drusilla PRICKETT on 12 Dec 1768 in , Monongalia, West Virginia. Mary Drusilla PRICKETT [Parents] was born on 1 Mar 1752 in Burlington, Burlington, New Jersey. She died on 2 Apr 1817 in White Day Creek Catawba, Monongalia, West Virginia. Mary married Capt. Morgan "Mod" MORGAN on 12 Dec 1768 in , Monongalia, West Virginia. F i Sarah MORGAN was born on 2 Dec 1770. She died before 31 Oct 1826. F ii Cynthia MORGAN was born in 1771. She died on 28 May 1882. M iii Achilles MORGAN was born on 29 Jun 1772. He died on 20 Jan 1860. M iv Morgan "Paddy Mod" MORGAN was born on 20 Jun 1774. He died on 28 Aug 1868. F v Drusilla MORGAN was born on 2 Sep 1776. She died on 11 Aug 1839. M vi Isaac MORGAN was born on 1 Sep 1777. He died on 31 Oct 1826. M vii James "Buffalo Jim" MORGAN "I" was born on 12 Dec 1778. He died on 8 Feb 1860. M viii Elisha MORGAN was born in 1780. M ix Stephen MORGAN was born in 1781. He died on 31 Oct 1826. M x Aaron MORGAN was born on 23 May 1784. He died in Aug 1829. M xi David Page "Squire Dave" MORGAN was born in 1786. He died in 1867. F xii Dorothy "Dolly" MORGAN was born on 22 Jul 1788. She died on 16 Feb 1885. F xiii Mary MORGAN was born on 28 Sep 1790. She died in 1826. M xiv Jacob M. MORGAN was born on 12 Sep 1793. He died on 25 May 1873. F xv Elizabeth MORGAN was born on 25 Jun 1795. She died on 27 Jan 1881. William Dinsmore MORGAN [Parents] was born in 1828 in , Vermilion, Illinois. He died in Aug 1888 in , Lee, Texas. He was buried in Chriesman Chapel Near Deanville, Burleson, Texas. William married Lodema FAIRCHILD on 13 Nov 1850 in , Grimes, Texas. The marriage ended in divorce. Lodema FAIRCHILD [Parents] was born in Jan 1830 in Grimes, Ft. Bend, Texas. She died on 13 Aug 1917 in Milano, Milam, Texas. She was buried in Aug 1917 in Smyrna Cemetery, Milam, Texas. Lodema married William Dinsmore MORGAN on 13 Nov 1850 in , Grimes, Texas. The marriage ended in divorce. Lodema was born in , Ft. Bend, Texas. M i Thomas Jefferson "Jeff" MORGAN was born on 11 Dec 1851. He died on 17 Feb 1928. William Philo "Bud" MORGAN was born on 20 Feb 1854 in , , Texas. He died in 1932. He was buried in Smyrna Cemetery, Milam, Texas. Franklin MORGAN was born on 2 Oct 1857 in , Rusk, Texas. He died in Probably Bef. 1900. Alanzo "Lonzo" MORGAN was born on 14 Nov 1859 in , Rusk, Texas. He died in Probably Bef. 1900 . M v James Travis "Trav" MORGAN was born on 5 May 1862. He died on 27 Mar 1924. M vi John Cyrus MORGAN was born on 12 Jun 1866. He died on 13 May 1940. M vii Lee Hood MORGAN was born on 31 Jan 1869. He died in 1939.